Chinese-US economic ties are under growing strain following President Trump's imposition of a new 10 percent tariff on another $200 billion worth of Chinese imports. Beijing is not going to use its national currency as an instrument for a trade war with Washington, Ministry of Commerce spokesman Gao Feng said. Speaking at a regular press briefing on Thursday, the official said that in strict observance of "the spirit of the G20 communique," China would "not engage in competitive devaluation, or turn the renminbi into a tool for responding to trade disputes or other external events." China's exchange rate will continue to be set at a reasonable, stable level, the official added. According to Gao, the artificial depreciation of the yuan would be "more detrimental than beneficial" to China's economy. Responding to recent tweets by President Trump about new Chinese tariffs on $60 billion worth of US goods being an attempt to influence the upcoming US midterm elections, Gao emphasized that the measures have "nothing to do" with politics. In the tweets, the US president threatened "great and fast economic retaliation against China" if American "farmers, ranchers and/or industrial workers" were "targeted" by the Chinese tariffs. The yuan's exchange rate against the dollar has dropped by nearly 8 percent since March, with some US economists arguing that this is evidence of currency manipulation. Beijing has rejected the claim. Trump's fresh sanctions on $200 billion worth of Chinese goods and services are set to take effect September 24. Washington has warned that it could slap similar tariffs on another $267 billion of Chinese goods and services in the future. Economists, including Sputnik's own Kristian Rouz, have speculated that China will introduce a stimulus package to try to offset the US restrictions. 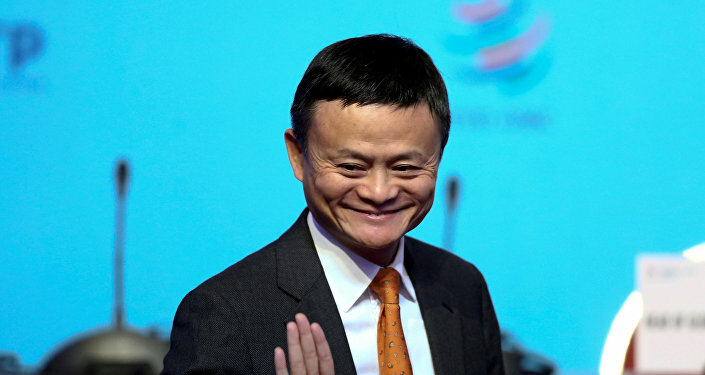 Meanwhile, on Wednesday, Alibaba Group co-founder Jack Ma retracted his company's earlier promise to create one million new jobs in the US, saying "that premise no longer exists today." Since March, the Trump administration has introduced several waves of tariffs worth tens of billions of dollars against Chinese goods in an effort to rebuild the US industrial base. China has retaliated with its own tariffs against US goods, but continues to maintain that there can be no winners in a trade war. In 2017, the US recorded a $375.2 billion trade deficit with China with total trade estimated to be worth some $710.4 billion in the same year.